Last night's Public Meeting about the Downtown Improvement Project drew approximately 50 business owners and residents interested in learning more about the construction schedule and scope. According to Town Administrator Jeffrey Nutting and representatives from Walsh Contracting and the Commonwealth, work will begin this month on Lincoln Street to Main Street in front of Dean College and last through the fall. Major construction on Main, East Central and West Central streets, the train bridge and part of Summer Street will begin next April and last through the 2015 construction season. Project managers hope to wrap up all construction and paving by the end of 2015 but the official end date is July 2016. A handout from Thursday's meeting shows streets color coded to indicate the type of work to be done over the next 18-24 months. 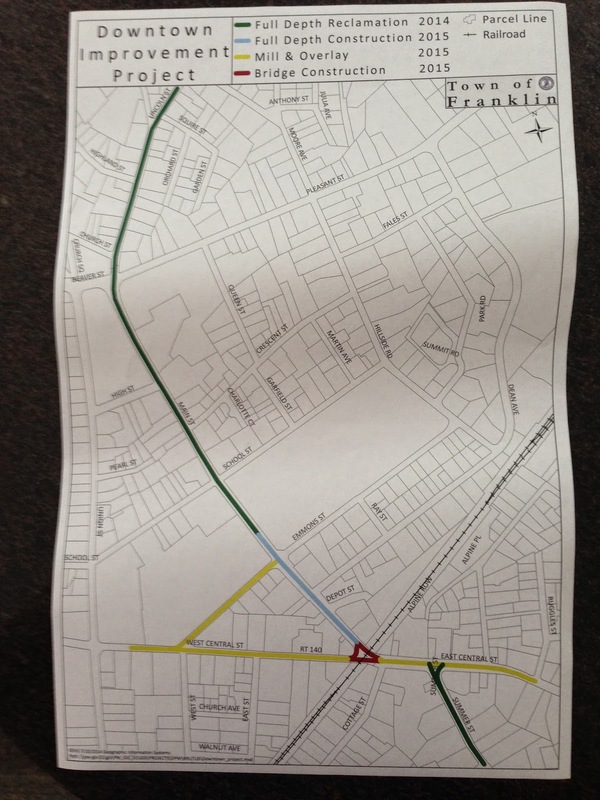 The green lines indicate Full Depth Reclamation work to be done on Lincoln and Main streets and work on Summer St. (includes a Town project) beginning this month. This and more detailed maps are available through the Town. The Town of Franklin will hold weekly meetings to keep the public informed of the schedule, road closures and detours, parking issues and any other issues. The town will also regularly post updates on its website, franklin.ma.us, and through Twitter on @TOFranklinMA. The Partnership will endeavor to share those posts and tweets as construction progresses on this website and on Twitter via @FranklinDowntwn. 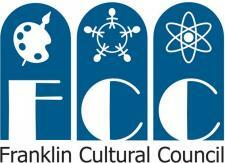 Click here for Live Reporting on Franklin Matters. Click here to read Matt Tota's Milford Daily News story Downtown Franklin improvements begin this month.